Make Yourself a Jon-Sohn – These Are Not Toys! Instructions: You make the collector take crappy photos, write some babbling texts about them and then… WHOA! Wait just a second!! Not THAT Jon-Sohn! This text will show how to make a Jon-Sohn, meaning my character from the Star Wars Galaxies MMORP game in 1:18 scale. Why would anyone apart from me want to make one? Well, your results may vary depending on the ingredients and intentions so bear with me, please. Here goes the real thing. First let’s take a look at… Jon-Sohn. 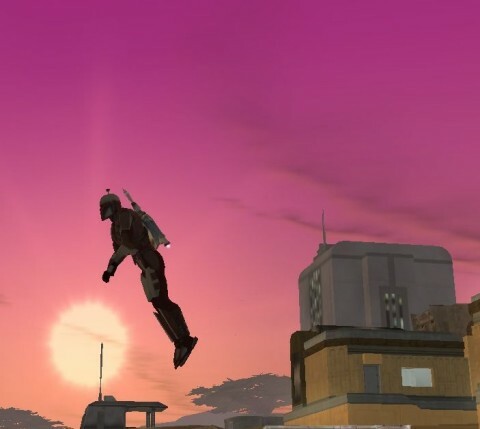 Here are few screenshots from SWG. Ok, you get the idea. 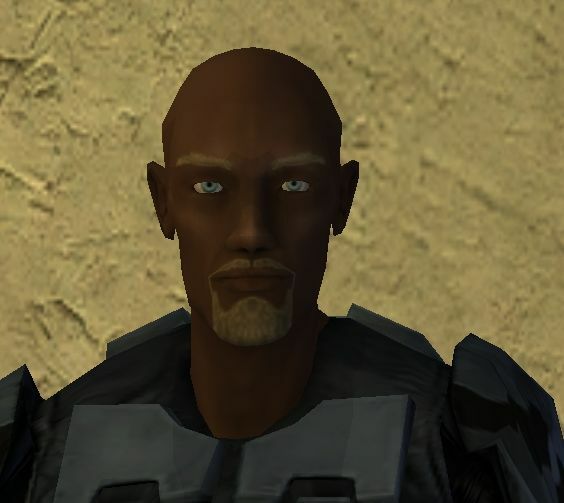 Jon-Sohn was a big bald black guy with a goatee wearing a Mandalorian armor which was repainted now and then, depending on my mood or the roleplay plot I took part in at the moment. If you read my Female Stormtrooper text (you didn’t?? shame on you!) 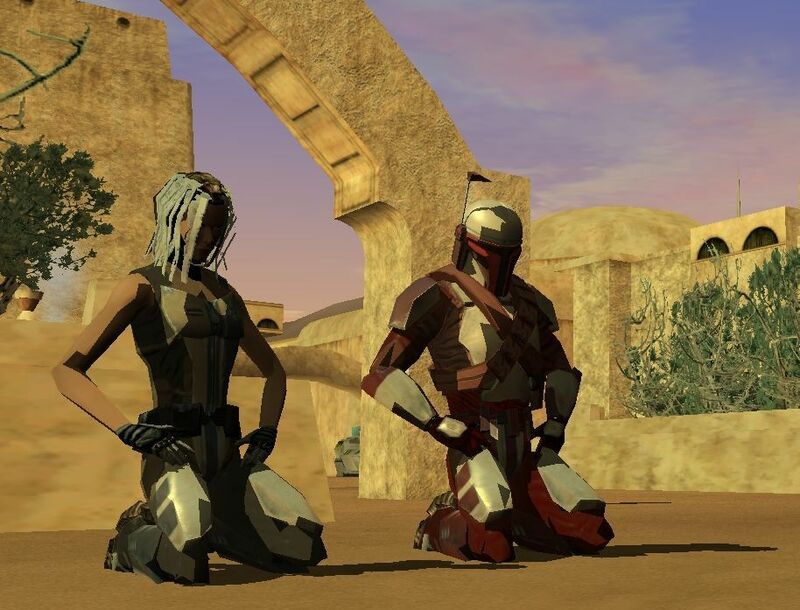 then you know that I roleplayed a stormtrooper as part of my guild’s life. 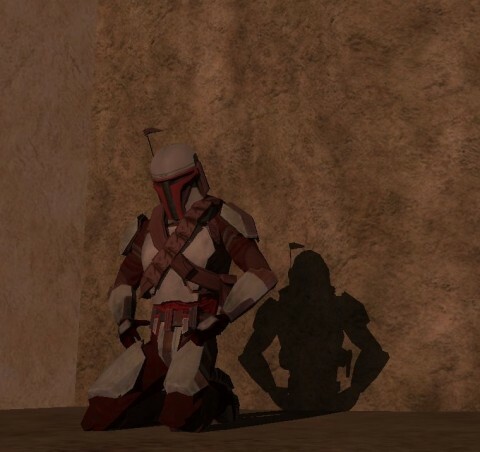 But apart from that I always had a thing for Mandalorians so once I got the awesome armor it was rare that I took it off unless required to by the plot. SWG was closed down by the end of 2011 and since I still miss this great game I decided to at least make myself a custom figure that will be a faint reminder of those fun times. 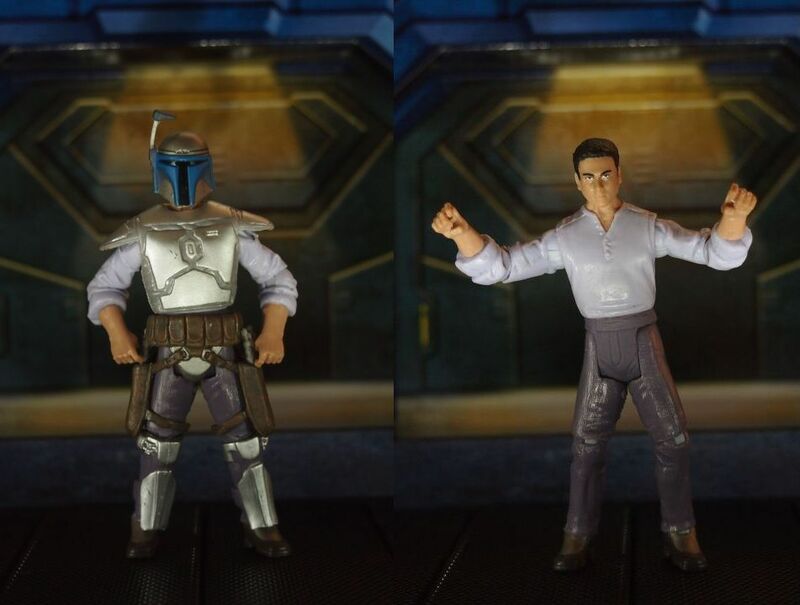 Step 1: Strip Jango off his equipment. The belt’s gonna give you some hard time while pushing it down the hips. Just remember it’s all rubber so it does stretch but can also break – mind the tiny straps! 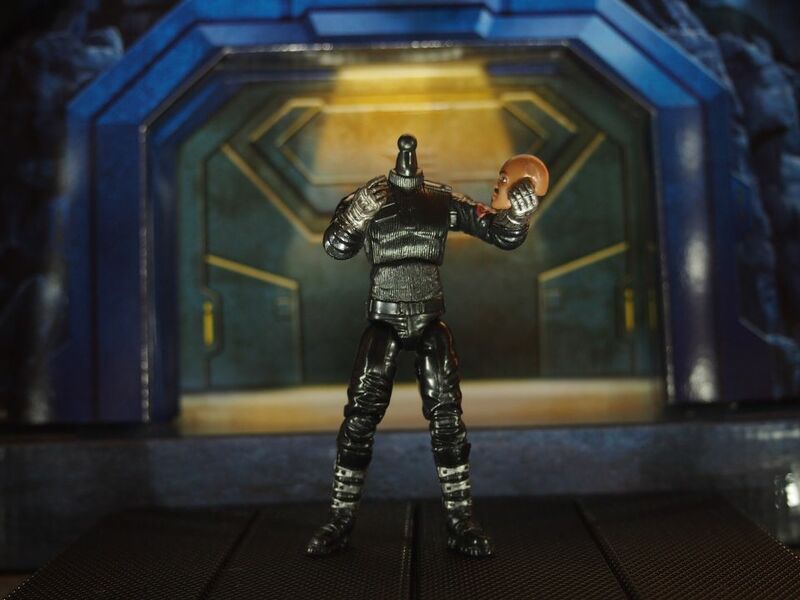 Step 2: Prepare Neo Viper’s body (without the armor) and Roadblock’s head. The head should fit nicely onto the ball joint. 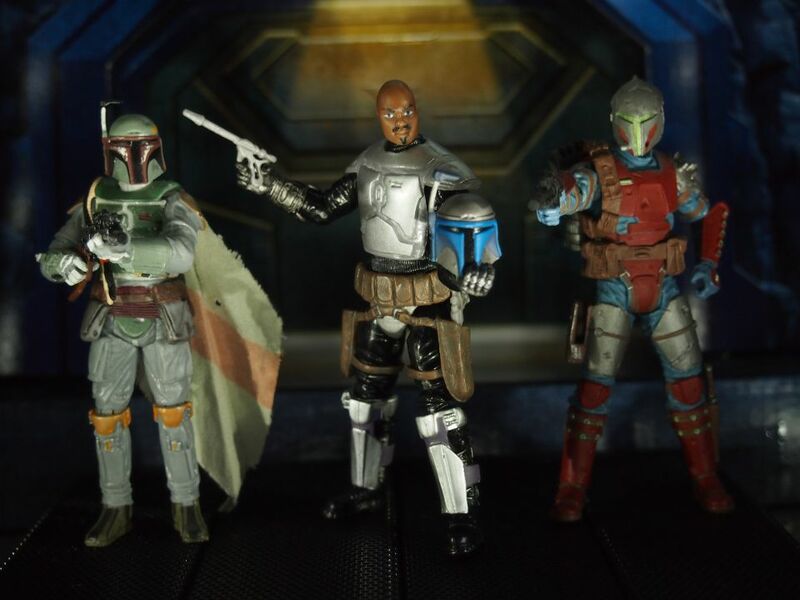 If you feel adventurous this is the moment where you can try other heads – ones that fit both on Neo Viper’s neck and inside a Mandalorian helmet. Step 3: Put the chest and shin armor onto Neo-Viper’s body. Also pull the belt up his legs – which can be a real pain so try to take as much advantage as possible of Viper’s flexible leg articulation: you can press the legs really close together and the feet can be bent downwards to make it a bit easier. I assure you: if I managed it without breaking anything that it’s not THAT big a deal! Result: And finally you get a Jon-Sohn. Not really impressed that much? 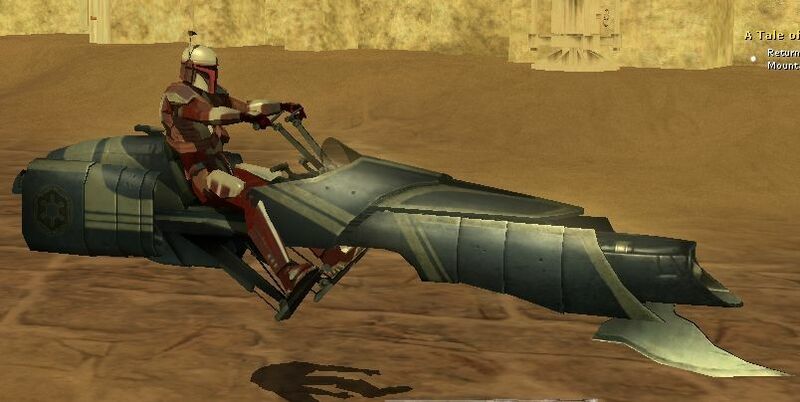 But think about it: you get a custom Mandalorian with full articulation from Rise of Cobra G.I. Joe line. And one with a Cobra sigil on his arm, how cool is that?! 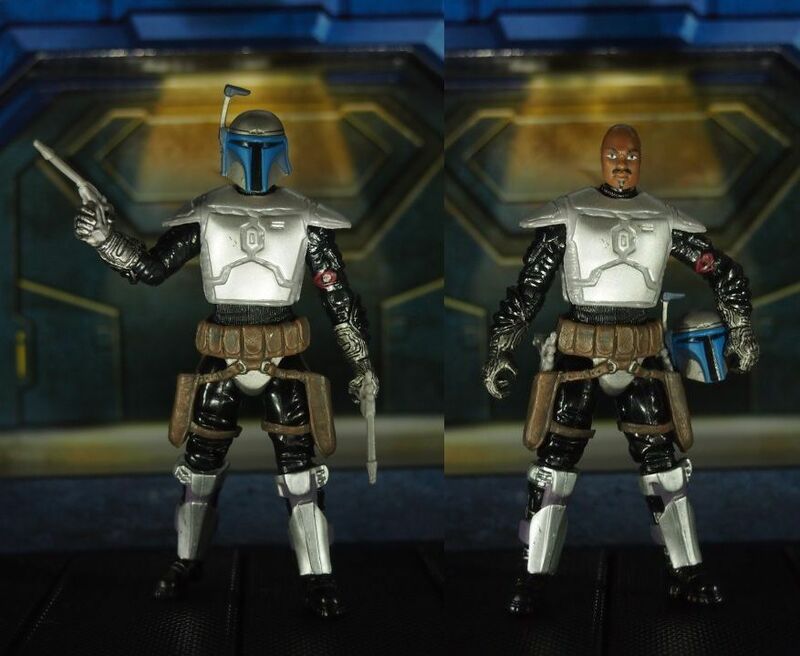 Also, you can choose a head of your liking for him, so he can be YOUR Mandalorian. And you can modify his accessories choosing from the wide range of G.I. Joe stuff: try a different belt, a specific rifle or pistol you like, hell, go with swords if that’s your thing, why not! 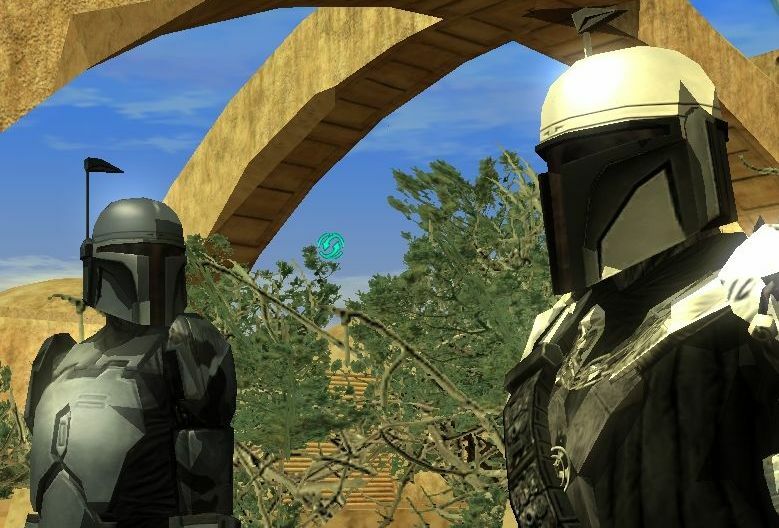 Just look how well he blends in with other Mandalorians. I would also love to give him those crossing chest belts that my character wore, so there is still some creative thinking and accessories hunting ahead of me. 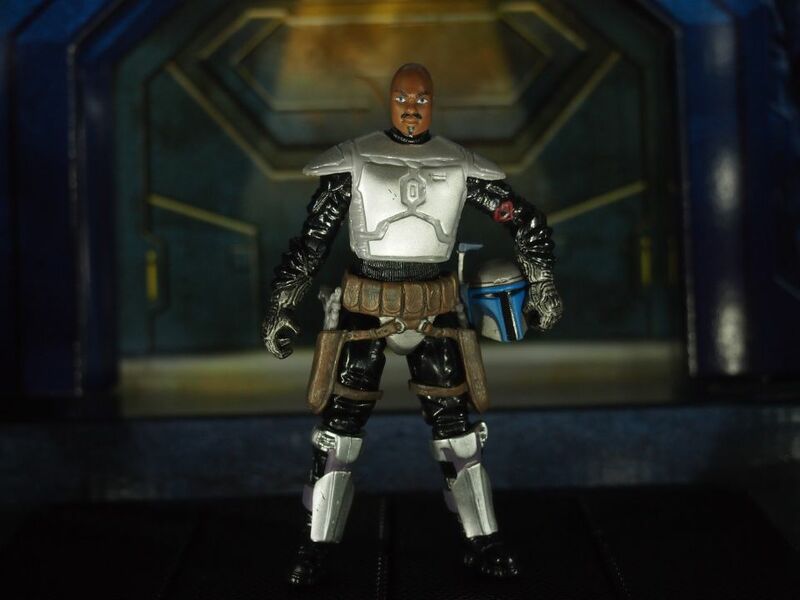 One thing that is a bummer is the inability to make him wear the jetpack: the hole in the Neo-Viper figure’s back doesn’t match the hole in Jango’s armor. My Jon-Sohn did have a jetpack in the game so I might work on that in the future too, but it won’t be easy without damaging the armor. As you can see I might still come back to this little project and if I do I will post an update here. 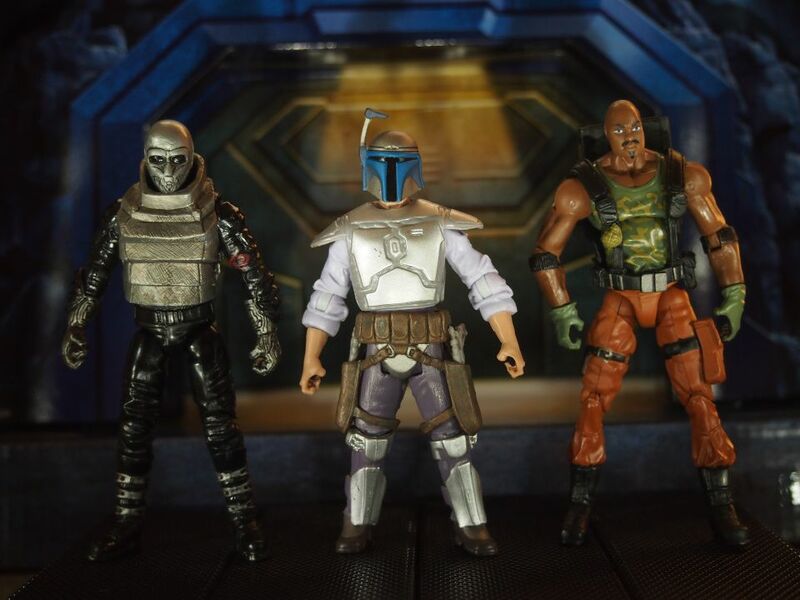 But, knowing myself and how often I actually do what I planned… well, I decided it’s better to show you what I already have, because purely drawing your attention to this cool figure-mix may inspire you to prepare a much MUCH better custom creation than mine. And if you’re like me and your customization skills involve simple gear swapping – this set is perfect for you, providing you do like the result. I sure do!